As I had almost all tutorials in the period 1 in the morning, period 2 was a total turn-over. Everything took place in the afternoon. I had to go to school on Mondays but I had free Fridays. There is always some trade-off. On the one hand I was not forced to get up, on the other hand I hate getting up when it's dark outside. Let's start with the description of the easier course. During my bachelor studies I attended a course from similar filed called Theory of Regulation and Competition Policy. I enjoyed the course as it was connection between economic theory and the real world. I was also expecting from this course to go deeper as this is a course at master level and I was really looking forward to interesting discussions provided by the combination of PBL system and interesting topic of antitrust. Well, my opinions are mostly different to the opinions of the majority of the people, but I like to discuss them. The course was a bit different than my expectations. We actually shortly summarized a book about this topic which means 6 lectures (half of the course) of actually basic stuff and than our presentations. Ok, it's good to have a practice in giving a presentation but the content of them as whole was not that interesting. I was a bit disappointed as I actually didn't get almost anything from the course. As I only needed to write a paper and prepare a presentation which took me about a week, I had enough time for the other course in the period and the time was needed. We also needed to read papers from others and prepare questions, but I managed to that in a few hours so it was fine. Final exam was written and I actually was not sure how deep my knowledge should be. But the overall result of the course was fine for me. Well, I do not know how I scored in separated deliveries, but what the hell. This course has really two sides. Topic is interesting, tutor was really good in the topic and knew a lot, but the exam and focus was just a pure law and connection to economics was missing. Like we didn't really discussed whether the economic reasoning, that is mostly used for defending the intellectual property law, makes sense. We were even asked in the exam to write all the nice reasoning! And I thought that as master students we should be able to use critical point of view. On the other hand this saved my exam as I obviously didn't get the catch in the other questions. But back to the course. The cases we dealed with were interesting, I even liked the fact that we really work with the precise law. I think some topics could have been explained to us using a lecture, but we only had tutorials. But I worked hard, made notes in each lectures, discussed the cases with my fellow students so I had a really good feeling before the exam. Exam sucked. I went to the inspection and there was no answer sheet provided. We made copies of our answers and wrote to the tutor. Next day we received an e-mail with the answer key and that we have 24 hours to send a complaint if there is any. When I was reading it, I was getting even more angry, as it only was confirming my thoughts that the exam was just focused on the really most difficult topics and we needed to solve them in another way than we did in the tutorials. I send a complaint, convinced that I will get more points. Wrong. Everything dismissed. Hm. At least I passed, but the feeling the course left in me is totally different to the one I had when I entered the MECC to sit down and write the exam. I do not expect them to make it easy, but I expect the tutor, to point out what we are required to know for the exam and how detailed our answers should be. In favour of my defence is the fact that the overall scores were not high. What was totally new in period 2 were the exams – they were located in MECC not at SBE and law exam was open book exam. The system is making everything almost anonymous and I am not really fond of that. The person, who is looking over you at the exam, has nothing to do with the subject, if you have any problem with the exam or there is a mistake – no possibility to verify it at the tutor. The fact, that there is only one date for everybody is fine, but you cannot decide how much time you want between the exams. I prefer more freedom of choice, but it's not a big issue in this case. 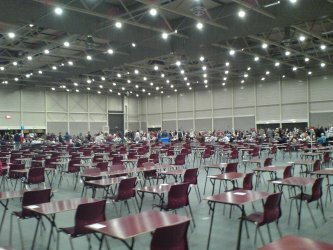 Also exam inspection takes place at given time and place and in our case the tutor was not there either. WTF? Both exams were crucial in my admission process as I asked the the exemption, but I will talk about that later. I want to point out that detailed descriptions of the courses are available in the Course database and you can also look at the course evaluation. As the beginning of the semester was warm and days were long enough to hang out, second half of it was more Christmas mood, cold with a lot of dark days. 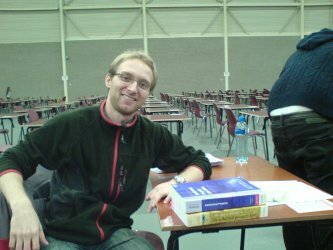 I also spent some time with my application for regular programme at Maastricht University and things around that – living, getting more specific information about what I need to do at my home university etc. I actually spent less time in school with my classmates that in the first period – we had less group work. That may be the reason why I actually didn't get to know my new classmates so well as in the first period. I also got really settled and going home was a bit strange. I was really looking forward to seeing my friends, but it was not that easy to leave my place in Maastricht empty. I found really great that we took our exams before going home for Christmas break, as I could finally enjoy my holidays and do not worry about the exams – well, only a bit about the results, but I had quite a good feeling about that. Ok, you can never be sure and as the result was important for my future – whether I would or would not be accepted for Infonomics master with start in February 2012. What I still do have a problem with is receiving a feedback and evaluation for the work I did in the course. I am used to get score for every homework or assignment I had to do even it takes some time but in the Czech Republic I always got it on case by case basis. Here, if I get something, than it's mostly the summary grade. So the system is more like that you have to ask all the time if you want to be informed. It's usual here, annoying for me and I think that also a lot of people give up. Article last edited 3. 2. 2012, viewed: 1727-times.